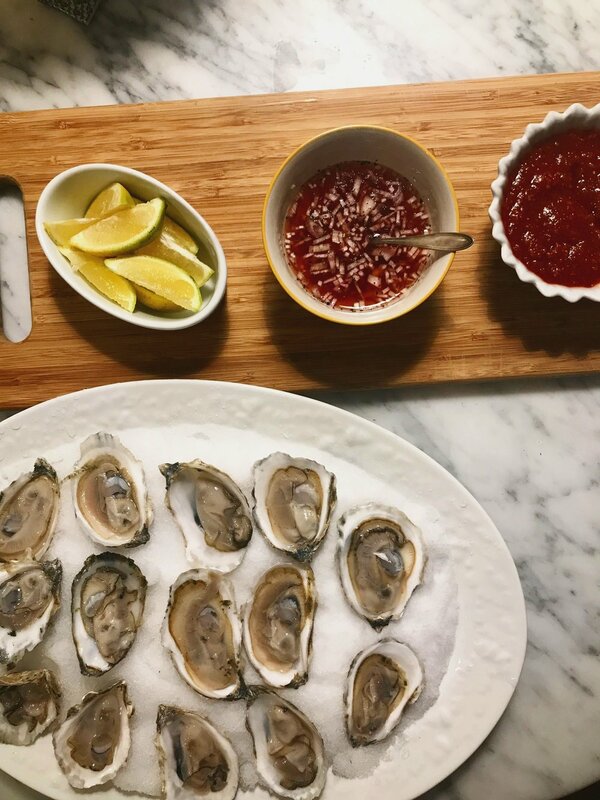 This simple dipping sauce is perfect for oysters and other raw seafood, when you want the fresh flavor of the sea to come out. Champagne vinegar, or half Champagne and half Champagne vinegar, is ideal. Do not use balsamic. Shortly before serving, mix together the ingredients in a bowl and chill. Serve it as a dipping sauce with the raw oysters. This story appeared in the Winter 2010 issue.